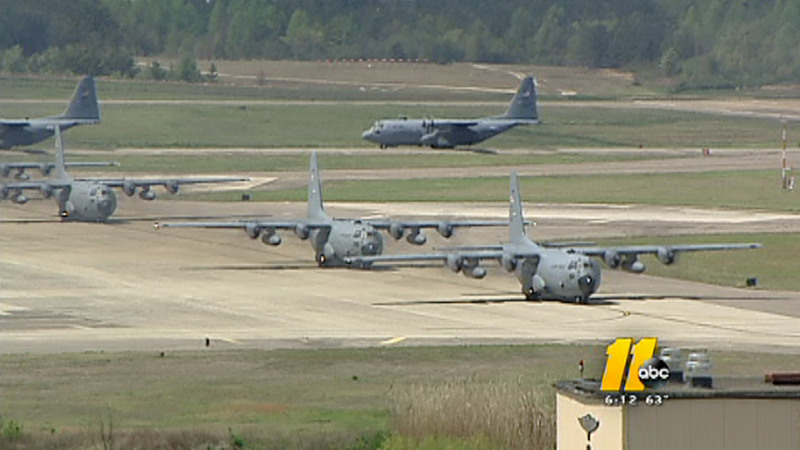 The bill also retains a provision supporting Fort Bragg's 440th Airlift Wing. "This legislation, which reflects the responsible funding levels allowed for under the recent, bipartisan budget agreement, will provide robust funding for programs that are critical to keeping our country safe and supporting members of the Armed Forces and their families, including in North Carolina's Fourth District," Congressman David Price (D-N.C.) said in a statement. "There are an increasing number of questions around the world about whether the United States is in retreat - about whether we are willing to continue to engage in world leadership," said Rep. Mac Thornberry, R-Texas, chairman of the House Armed Services Committee. -Provides a 1.3 percent pay increase to service members and a new retirement option for troops. -Authorizes lethal assistance to Ukraine forces fighting Russian-backed rebels. -Extends a ban on torture to the CIA. -Authorizes the president's request of $715 million to help Iraqi forces fight Islamic State militants. Among the adjustments were $230,000 for the next-generation bomber to replace the aging bomber fleet - money that the Pentagon wasn't going to spend anyway because it took longer than expected to sign the contract to build it; $1 billion saved because of lower-than-anticipated oil prices; and $442 million in readiness funds for the Army and National Guard. The White House is preparing to release the administration's plan to close the prison, which is expected to propose transferring some detainees to places in the United States where they could be securely held - an idea that already has drawn heavy opposition on Capitol Hill. The law currently bans detainees from being transferred to U.S. soil, but facilities in several states, including Kansas, South Carolina and Colorado have been discussed. The other Republican members of the Kansas delegation - Sen. Jerry Moran and Reps. Lynn Jenkins, Mike Pompeo, Tim Huelskamp and Kevin Yoder - all expressed opposition to the White House stance on the issue.